The landscape of the country that was then still known as Yugoslavia has undoubtedly contributed significantly to the success of the Winnetou movies with Lex Barker and Pierre Brice. Today, "location tours", trips to famous film sets, are part of tour operators' and tourist offices' travel offers. The filming locations of the Winnetou movies in present day Croatia are no exception, as they awake many nostalgic reveries especially in our time and also delight "normal tourists" with impressive beauty. Likewise, a traveler can still find traces of Lex Barker movie scenes during a trip through the west of the United States of America, mostly off the beaten track and away from identified tourist routes. The following is one such travelogue. Keep your eyes open on your next trip to the U.S.A.
You must enable java-script to see the map! Follow the route by moving the card with the mouse or clicking on the arrow buttons. Click on the markers and you can jump to the corresponding text. We are in Utah. The land of the red mountains. Beneath a deep blue sky the strata of the rocky landscape glow in all their shades of red. A fascinating and endless spectacle courtesy of Mother Earth. Around the 1840s many thousands of pioneers moved west and reached their promised land in Utah. We follow route 89 into southern Utah, and reach Kane County. Travel brochures entice with the slogan: "The greatest Earth on show". In fact we are here virtually central to the most famous natural attractions, like nowhere else in America: Grand Canyon, Bryce Canyon, Zion National Park, or Lake Powell. All of these are within our reach. At first glance, the small town of Kanab, which is situated within sight of the border to Arizona, seems to be one of those typical western towns, just like many others in this grand landscape. But far from it: Kanab can look back onto an exciting past as a backdrop to over fifty movies. 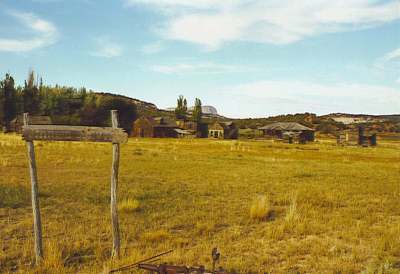 In earlier years, the town was also called "little Hollywood". El Dorado for Hollywood's western moviemakers. What's more, the story of Kanab reaches back into the times of the "dark and bloody grounds". 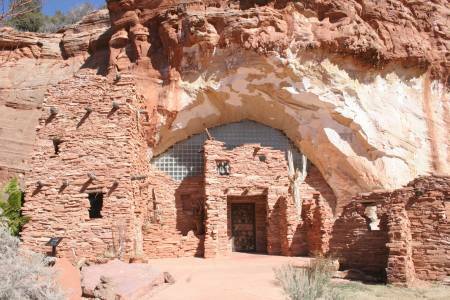 The first outpost of the army in this region was "Fort Kanab". The base was built in 1864 as protection against Red Indians and as a starting point for reconnaissance into the surrounding region. However, repelling the frequent Indian attacks made the Fort untenable in the end and already in 1866 the base was abandoned. The Mormons who built a mission on the same spot to convert the "Lamanites" (as the Mormons called the native Americans) were more tenacious. 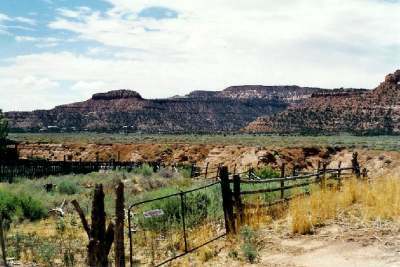 Before the building of the first road and modern transport, Kanab had the distinction of being the USA's most difficult-to-reach town (with over five hundred inhabitants). It was therefore the ideal place to experience the solitude and vastness of the Wild West close-up. The famous author Zane Grey thus found plenty of ideas and motives for his stories. It was in Kane County where he received the inspiration for his novels The Last of the Plainsmen and Riders of the Purple Sage. The Wild West is being tamed, the solitude remains in Kanab. Even as little as sixty years ago no other registered place in the USA was farther away from some kind of railroad network than Kanab. This place doesn't escape the Hollywood scouts. In 1924 the movie industry finds its way to Kanab. The Western Deadwood Coach, starring one of America's Western greats, Tom Mix, is filmed there in that year. But another six years go by before Hollywood finally settles in picturesque Kanab. In 1930 the production train of the monumental western The Big Trail stops over in Kanab. The lead role in this American German co-production is filled by the unknown twenty-three year-old Marion Michael Morrison, later world-famous as John Wayne. In March 1931, smart businessman Chauncey Parry opens his Parry Lodge in Kanab. The comfortable hotel becomes the attraction of the region and serves the moviemakers as a base during their projects. In the following decades many Hollywood legends will play cowboy and Indian there. Most will lodge at the Parry Lodge. Representative of the long list of movies made there are: Stagecoach (1939), with John Wayne and director John Ford; Fort Apache (1948), again with John Wayne and directed by John Ford; The Outriders (1950), with Joel McCrea and Arlene Dahl (soon to be Lex Barker's wife); Oh Susanna (1951), with Rod Cameron and Adrian Booth; Duel at Diablo (1966), with James Garner; and The Outlaw Josie Wales (1976) with Clint Eastwood. 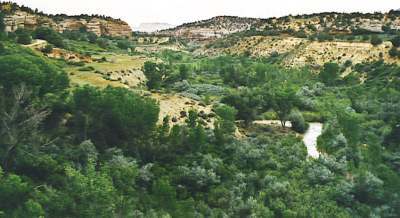 Television viewers would be familiar with this region as the main location for the long-running Western series Gunsmoke, with James Arness. 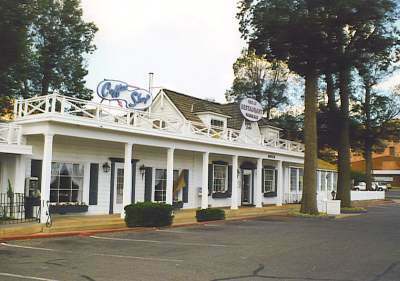 Important parts of Dodge City's façade, for example Miss Kitty's Long Branch Saloon stood in Johnson Canyon. But not only the Wild West became reality here. Adventure and Sci-Fi movies, such as the oriental fairy tale Arabian Nights, (1942), with Maria Montez and Sabu, or Planet of the Apes (1968) with Charlton Heston were staged under Utah's hot sun. Film producer Howard W. Koch also makes himself at home there. During the second half of the 1950s Kanab becomes the arena of his choice for his movies. With Lex Barker in the lead, in 1956 he shoots no less than two feature films in the area. 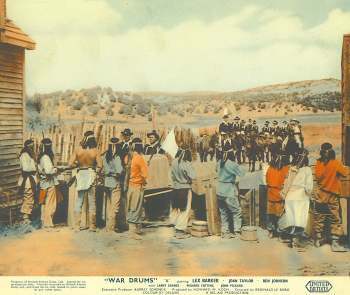 The Apache western War Drums (which receives the apt German distribution title of "rebel of the red mountains") is made in the immediate vicinity of Kanab. 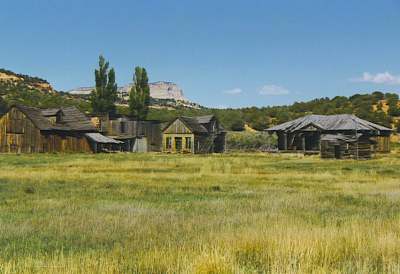 Some scenes are also filmed in the nearby western town set of Johnson Canyon. After that, Koch swaps genres with the thriller . 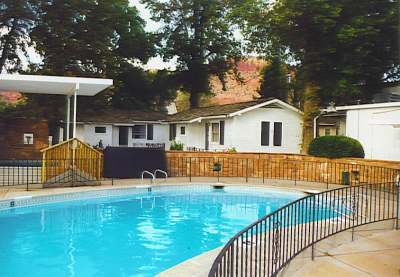 The lodge serves as the major set. The name is also used in the film plot. By doing this, producer Koch avoids unnecessary expense. After all, the team is staying at Parry Lodge. Howard W. Koch is so delighted with the working conditions on location that he returns in the following year (1957) to film another western, Fort Bowie with Ben Johnson in the lead role. 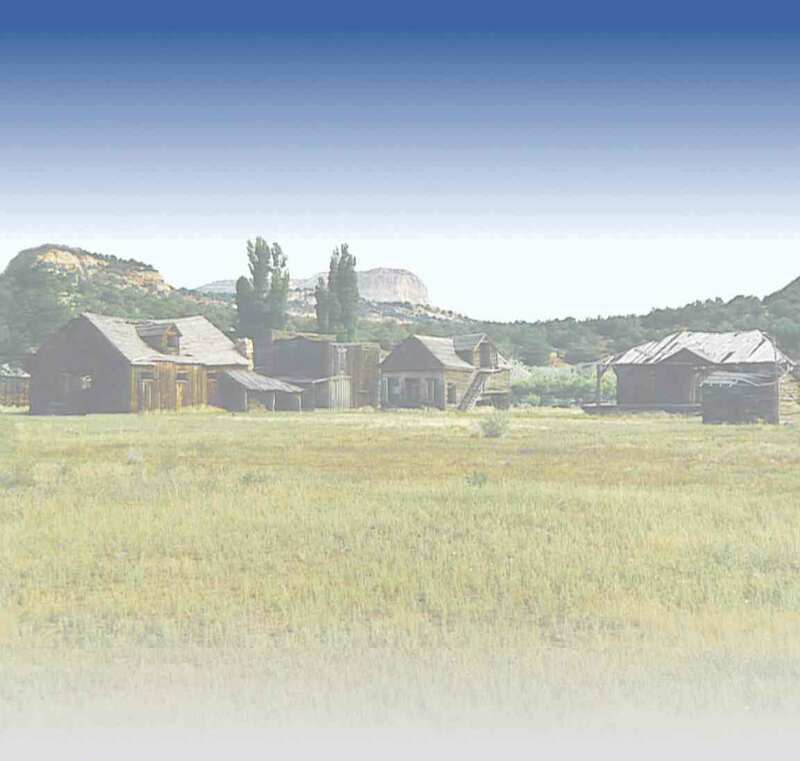 There are no more westerns being filmed in Kanab nowadays, but the memories of the great time are kept alive. In Dennis' Wigwam there are all manner of western souvenirs to buy. Proprietor Dennis, a giant Mormon, is always dressed the part. In earlier times he risked "life and limb" as a stuntman for the famous stars. And at the Parry Lodge hang numerous photographs of actors who once dwelled there. The beefsteak is twice as tasty sitting within eye contact to John Wayne, Audie Murphy, Rod Cameron or Lex Barker. When the sun has set behind the cliffs, Parry Lodge literally offers itself as a camp for the night (after all the strenuous adventures). The hotel rooms are named after the actors who once stayed there: Wild West inclusive. Many current residents have lived in Kanab since the time of the golden film years and can still tell a tale or two about how they worked as a stunt double for example, or served the meals to the camera crews. They also remember Lex Barker. In the meantime, the western festival Western Legends Round Up has become a yearly event. The mix of music, poetry, folklore and film cult draws many visitors. And a few years ago Kanab's city elders came up with the glorious idea to mirror the well-known "Walk of Fame" in Hollywood/Los Angeles and create their own place of honor along their main street for Hollywood greats who once climbed into the saddle in this region. A number of remembrance plaques with pictures, which actually rival the famous model with regard to esthetics, already decorate the main street of Kanab. Among the dignitaries are John Wayne, Ronald Reagan, Charlton Heston, Ben Johnson, the complete cast of Gunsmoke, Clint Walker and the unforgettable Howard W. Koch, producer of a number of movies made in Kanab and guest at the unveiling ceremony of his plaque of honor in 1999 (people of Kanab to this day are full of admiration: "Howard, you're one of us!"). In 2007, Lex Barker has also been awarded his place in the line-up of the movie-greats. All the more reasons for a visit to Kanab! A day's ride farther into the wide land the western enthusiast reaches the next historical filming location. At the foot of the Alabama Hills (California), the "heroes of the Wild West" saddled their horses by the dozen, rode through wild canyons, and across dusty prairies, and thus made the characteristic rock formation especially famous. The Hollywood retinue invaded the small place called Lone Pine in 1920 for the first time. Today it is no longer possible to fathom for how many westerns the clapper boards clapped during the nineteen-twenties, thirties and forties, but the number of motion pictures is estimated at over one hundred. A handful of them were screened once on Europe's television sets in a series called Western von gestern, or "westerns of yesterday". Many viewers no doubt still fondly remember Fuzzy and his colleagues (from the singing cowboy to the fashionably dressed leading actor). But here too, the name of the "king of the western" stands above all others: John Wayne. Lone Pine's boom days were in the nineteen-forties, and many-a-cattle herd was driven through the place. Other footprints left behind belong to countless celebrities: Humphrey Bogart, Robert Mitchum, Gregory Peck, Kirk Douglas, Gary Cooper, Glenn Ford, Spencer Tracy, Richard Widmark, Randolph Scott, Jeff Chandler, Clint Eastwood und Rod Cameron. the magnificent backdrop to countless westerns. Tim Holt, well-known Hollywood cowboy of the forties is a permanent guest here; even the non-event Under The Tonto Rim (1947) is filmed here. Apart from the near-invisible part as an extra in an earlier picture, Unconquered, this "horse opera" offers one young actor his first western appearance, albeit in only a few scenes: Lex Barker. The first step is always the hardest and this is also true for the later Mr. Old Shatterhand. The next western season offers another opening to get a foot in the door of the western carousel. The Randolph Scott opportunity Return Of The Badmen (1948) shows Lex Barker as a bad guy with full beard. By the way: if you believe that the scenery behind Johnny Weissmuller in Tarzan's Desert Mystery (1943) is African, you are mistaken. At the same time as Roy Rogers sings the Song of Texas, Weissmuller is chasing nasty villains nearby. 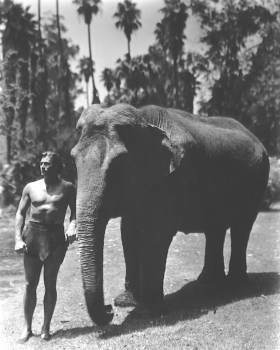 Short scenes for Tarzan And The Slave Girl (1950), and (1952), are shot here with Lex Barker as Tarzan. Until the cheap Peso lures Hollywood down Mexico way, a few more western genre milestones are filmed in and around Lone Pine. That goes for Broken Arrow (1949), as well as a number of Randolph Scott movies. During the 'sixties only a few film crews can be seen there. John Wayne, at one time a regular patron in the local saloon, still wanders North to Alaska, (1960) and through bygone western times. Lounge room cinema takes over the landscapes that were once reserved for silver screen productions. The Cartwrights from Bonanza and other revolver heroes such as Guy Madison who shoots his way as Wild Bill Hickok through the TV western series of the same name are the new stars. On 11 June 1979, John Wayne takes his final bow. The previous year, on 25 August 1978 his last television appearance leads him back to long-forgotten places. Hollywood, which in itself has attained legend status in the meantime, discovers other locations. The age of film tricks and special effects means welcome expense cutbacks on trips into difficult regions. Lone Pine also celebrates its filming locations with an annual western fest. Busloads of movie buffs amuse themselves in the rock formations and revel in memories of the good, old times. Some strut around like Roy Rogers or with a casually broad gait like John Wayne. At night the campfires burn beneath the starry sky and the "cowboys" in the local camping ground feel like genuine westerners. Route 395 leads north in the direction of Yosemite National Park. 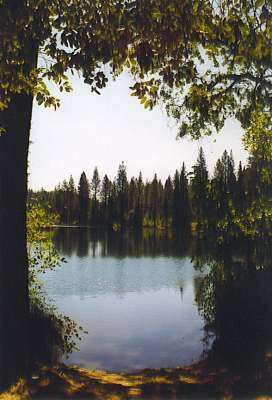 On crossing the natural wonder, the small romantic Bass Lake comes into view south of the western park exit. 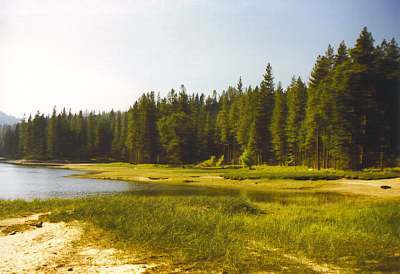 Leatherstocking Lex Barker once roamed through this forest and lake scenery with his Indian friend Chingachgook in The Deerslayer (1957). Of course Hutter's blockhouse on the lake had been dismantled after the filming. could appear at any moment. Today water sport is dominating the lake. Motorboats, water-skis, campers and picnickers are making sure that the serene Deerslayer atmosphere is long-since a thing of the past. The region is no longer a place of solitude. Yet despite it, various filming locations can still be identified. Special "trackers" hire a canoe and cross the "Glimmerglass", as it was known in the film, in the hope not to be hit by motorized boats. By following the nearby San Joaquin River (in the vicinity of the small settlement North Fork) Lex Barker movie fans are treated to a unique filming location: that particular spot where the protagonists landed with the canoes and began their advance into Indian territory. Here in the loneliness of the West a peculiar trapper feeling still surfaces today and moving through "Indian country" on the trail of Leatherstocking from this point forward is only done with cautious steps. On the road south, towards the movie Mecca Los Angeles, a detour leads into the Mojave Desert. The sun scorches the Californian desert when the place Mojave comes into view. Here too, Hollywood has left its tracks behind. 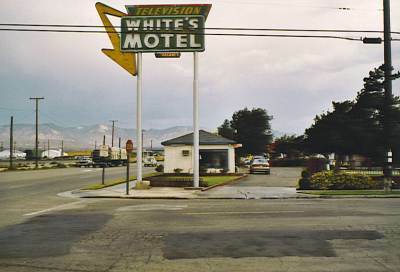 White's Motel is still in existence and stands directly on a very busy street and a disused railway line. The rooms are without much comfort, but with a lot of noise pollution. Several Hollywood star portraits hang in the small motel lobby but none of Lex Barker (at least there's good coffee to be had). He filmed outdoor scenes around Mojave for (1954), and spent the night in the motel. The members of the film team used to eat their evening meals at Reno's restaurant and it is still in existence (with interesting décor in the Route-66 style). Old mine shafts are recognizable in the Queens Mine Area, the actual filming spot, and the desolate landscape still looks like it did in the time of the shooting. Just before Los Angeles Highway 101 leads west. The destination is Thousand Oaks, a settlement that seems uninteresting at first glance. But in fact, near this town, which is only a hop, skip and a jump away from Hollywood, were the locations of many great Hollywood westerns. The Janss Conejo Ranch in the Conejo Valley offers a magnificent prairie landscape. Lex Barker fans immediately recognize at first glance that important parts to The Man From Bitter Ridge (1955) were created here. Two brothers, Harold and Edwin Janss purchase about 10,000 acres of land in 1910, and establish their ranch. Towards the end of the 'thirties the first film cameras are whirring and capture Wild West romance from the distant prairie, which in reality lies just outside the gates of Los Angeles. The big stars only have a short distance to travel and sit in the saddle in no time: Roy Rogers, Joel McCrea, Fess Parker ("Davy Crockett"), Elvis Presley Flaming Star, (1960), John Wayne The Man who shot Liberty Valance, (1962), James Stewart and Henry Fonda. There are also suitable landscapes for other genres, for example the war movie Sands of Iwo Jima with John Wayne, (1949), or the historic adventure Spartacus with Kirk Douglas, (1960). Over one hundred episodes of the television classic Bonanza are created in Conejo Valley and on the Ranch. 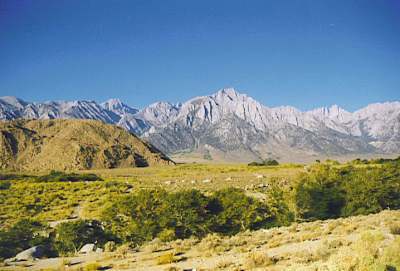 The opening sequence of the series (inserted in the first two seasons) is filmed on a dirt road in the valley. Today the region belongs to Wildwood Park nature reserve. On the way to Los Angeles there is yet another detour off the highway. 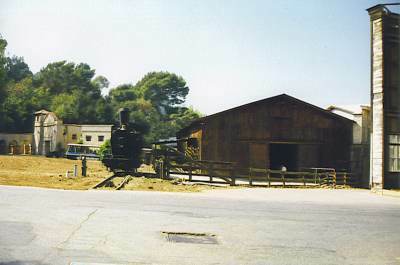 The Calabases Highlands were once home to the "Warner Bros. Ranch". Lex Barker also rode through this landscape in the western , (1952). Last but not least a look at Los Angeles, the largest metropolis in the world by area: a virtual Moloch that seems to be perpetually on the verge of collapse. Only Beverly Hills has a relaxed atmosphere, but this suburb is only partially accessible to visitors. The celebrities call it home here. A great many luxury dwellings line Hollywood Boulevard or Alpine Drive (erstwhile place of residence for Tarzan number ten, Lex Barker). A tour takes us into Universal Studios. Universal City is the name given to the set that comprises entire streetscapes. Lex Barker walked through these in The Price Of Fear (1956), or in The Girl In The Kremlin (1957). Some of the street sets are still standing, but not all are open to the public. 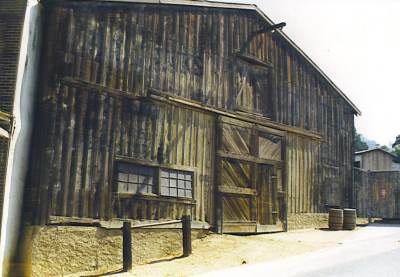 The legendary western barn that featured in a number of westerns, for example in , or The Man From Bitter Ridge where the duel with the devil, the concluding fight with Lex Barker was filmed, has survived the times and it conjures up stirring recollections. 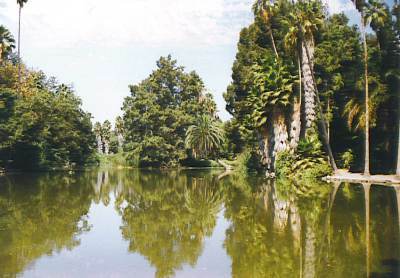 In Baldwin Park, one of Los Angeles' giant lungs, the visitor encounters a landscape with tropical ambiance. Here too, Hollywood studios filmed many of their movies. Lex Barker's Mississippi appearance in Duel On The Mississippi (1955) is only one of countless scenes shot here; the Mississippi steamer stood in the Columbia studios. 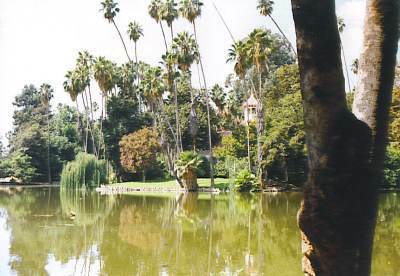 Fifteen miles northeast of L.A.'s center the tour ends at the Los Angeles State and County Arboretum in Arcadia. There's a complete lagoon with lush vegetation to be admired. Outside of Africa it was mainly this setting that created the backdrop for Lex Barker's jungle adventures. Who doesn't remember the comfortable tree house? This place was a favorite "jungle" filming location already in Johnny Weissmuller's Tarzan time. As we walk through the park today, we truly are taken back into Tarzan's jungle. The lake, well known from many motion pictures, brings back nostalgic memories and the visitor is looking out reflexively for Tarzan. Is he in the water, in the trees or in the bushes? To our left is a small building. That's where in most of the movies the house of the commission agent was located, or that of the trading post for the small jungle settlements. After the stress in L.A. city this park is also an excellent "rest stop". Along the roundtrip through jungle landscapes, past delightfully perfumed orange trees the afternoon simply flies. And while sitting on a bench, taking in the atmosphere, it can easily happen that peacocks or flamingoes amble past. But there's no sign of Cheetah. Maybe because we have no bananas. In short: aside from the famous travel destinations in the United States of America, the Hollywood filming locations offer charming landscapes and often present a picture that today is still (almost) unchanged. 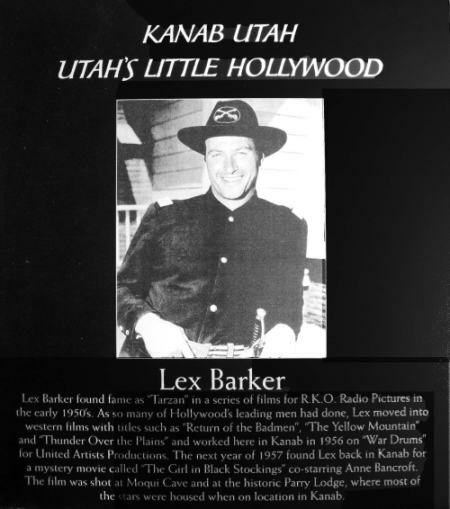 The highlights of the tour along Lex Barker filming locations are most certainly the Parry Lodge in Kanab, Utah, and the State and County Arboretum in Los Angeles.